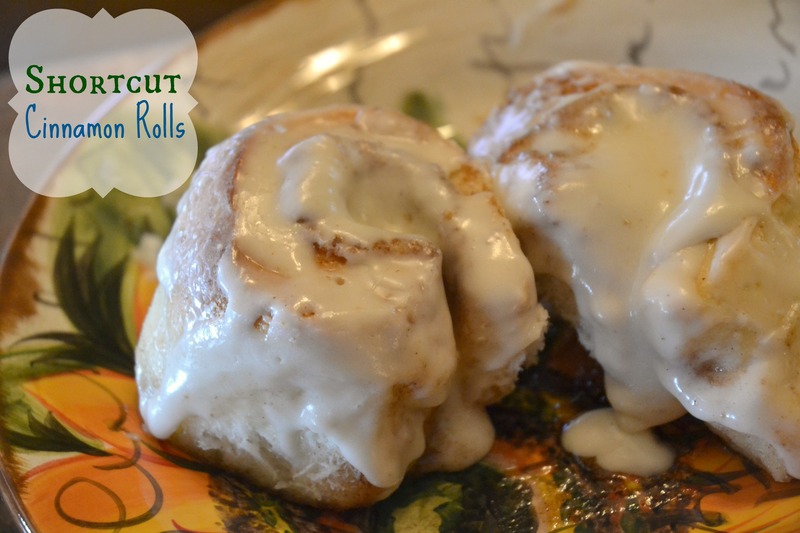 I found this recipe on Iowa Girl Eats and decided to try it while we were on our Thanksgiving trip. We tripled the recipe and made some with the caramel bits and others without. I actually liked them without the caramel bits better. While this recipe is easier than making the dough from scratch, it took a bit to roll the dough out. It was well worth the efforts. Thaw bread dough using the refrigerator method indicated on the package (I let mine thaw in the fridge overnight.) Let dough come to room temperature for 25 minutes then lightly flour a clean, dry surface and roll dough into a 12×8″ rectangle. Combine sugars and cinnamon together in a small bowl, then spread melted butter over bread dough, and then sprinkle cinnamon-sugar mixture on top. Sprinkle on caramel bits (if using) then roll dough into a log, pinch seams to close, trim ends off, and then cut into 8 equal slices. Spray a 9″ round baking pan very well with nonstick spray then arrange slices inside. Cover with a tea towel sprayed with nonstick spray then let rise until doubled in size, 30-45 minutes, in a warm place (I placed the pan in a warm oven.) Preheat oven to 350* then place baking pan on a baking sheet and then bake for 20-30 minutes, or until golden brown. Meanwhile, combine cream cheese and butter in a large bowl or in the bowl of an electric mixer. Beat until smooth then slowly mix in powdered sugar. Add vanilla then beat to combine. 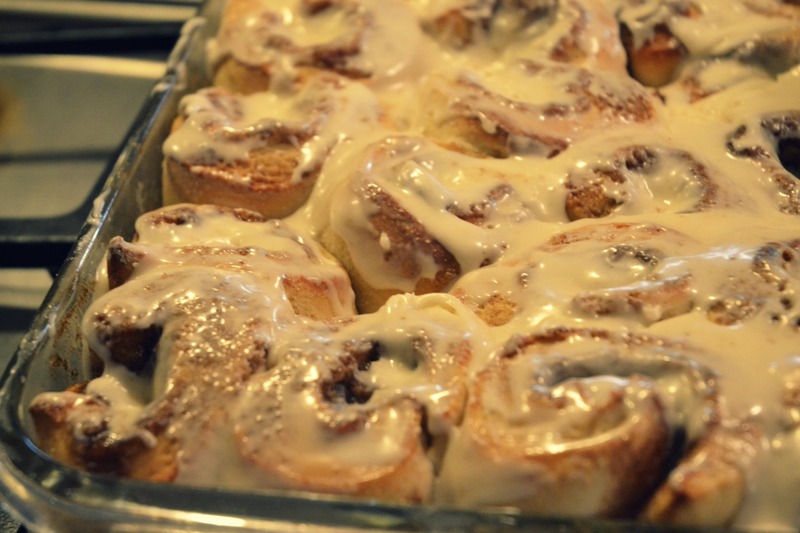 Add milk 1/2 teaspoon at a time until frosting reaches spreadable consistency. May need up to 2 teaspoons milk. 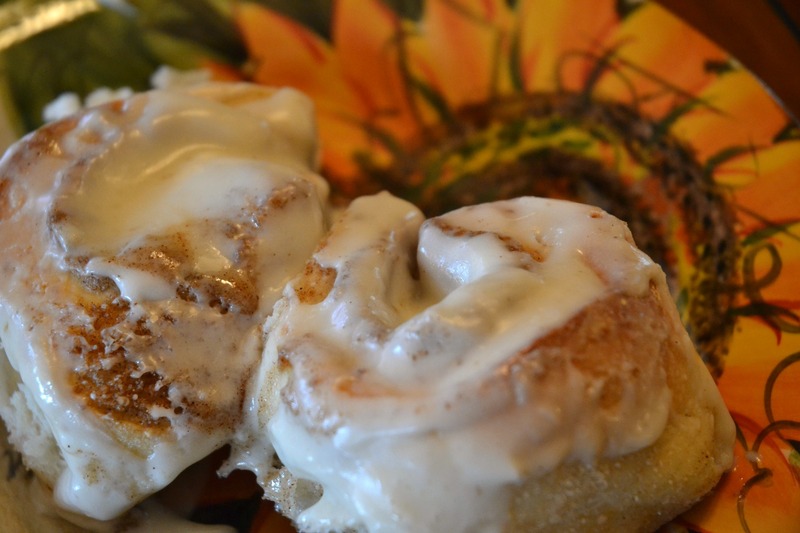 Spread frosting on warm caramel cinnamon rolls then serve immediately. Makes 8 rolls. « Candied Pecans + The Most Delicious Salad Ever!